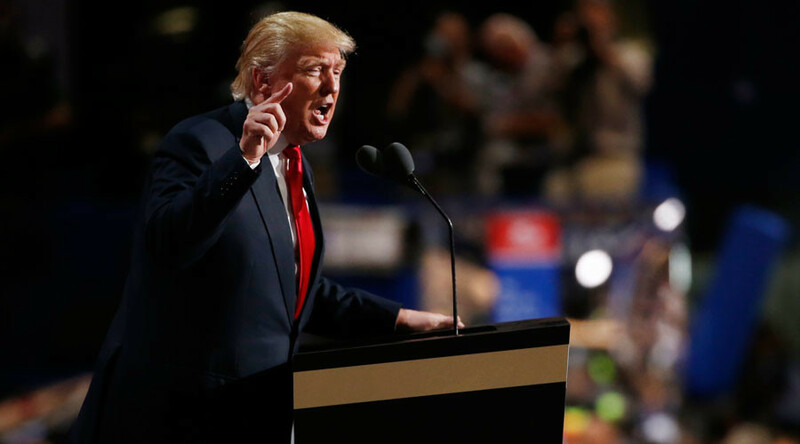 The promise by presidential candidate Donald Trump to protect the LGBTQ community in his RNC speech left many unimpressed, primarily due to his party’s most anti-LGBT platform yet, and vice presidential pick Mike Pence’s record on LGBTQ issues. “Only weeks ago, in Orlando, Florida, 49 wonderful Americans were savagely murdered by an Islamic terrorist. This time, the terrorist targeted our LGBTQ community,” Trump said. How can anyone say trump supports LGBT+ people when his response to Orlando was essentially "thank you, I told you so." “As your president, I will do everything in my power to protect our LGBTQ citizens from the violence and oppression of a hateful foreign ideology,” he added. People were quick to question the sincerity of Trump’s words, suggesting it was an attempt to win votes rather than a display of genuine concern. @amdiazart Do you think that trump cares for personal freedoms or is he cynically going for LGBT vote? Others poked fun at the businessman’s apparent inexperience in pronouncing the word “LGBT”. @tonyschwartz@interpretingall I love how he carefully uttered "L-G-B-T-Q". As if that string of letters had never escaped his lips before. Trump congratulated the crowd for cheering his comments: "As a Republican, I'm so happy to hear you cheering for what I just said." Some suggested that convention attendees were cheering the Republican candidate’s promise to protect the community from a “foreign ideology” rather than from the homophobic elements in the US, and within the party itself. Trump promises to protect LGBT community from foreign threats? What about the domestic threats? How is Mr Trump going to protect LGBT(Q) people from his homophobe running mate Mr Pence? Pence has pushed for defunding HIV prevention programs in favor of gay conversion therapy, and signed a religious freedom law that allows businesses, based on its workers’ religious beliefs, to refuse to serve certain individuals. TRUMP "I will protect LGBT community." Really? With his VP Pence holding a daily prayer circle praying that "gays will convert 2 straight." Some were quick to point to Trump’s rival Democratic presidential candidate Hillary Clinton’s own LGBTQ shortcomings. @HillaryClinton@realDonaldTrump And how is Trump against LGBT and non-violent minorities? It was YOU who used to be against gay marriage! In an RNC first, Thiel referred to his sexuality by saying he is “proud to be gay”. “I am proud to be gay. I am proud to be a Republican. But most of all I am proud to be an American,” Thiel said to applause from the room. @FoxNews. Lying trump, you and pence have made it clear the LGBT community are not wanted. @ZackScott might be some decent republicans who will move the party to being less anti-lgbt. trump is NOT one of them & gets no credit.